Fuel your mind and body with our exceptionally tasting vegan protein bars. At over 21 grams per bar, these will keep you feeling fuller for longer. Perfect for those on the go who need to an easy and convenient way to get more protein throughout the day. Eating more protein not only helps to satiate you but it can also help you to lose weight and build muscle. Our delicious plant-based protein bars have been formulated with only the finest ingredients possible. They also contain ZERO gluten, wheat or soya. In fact, this comes as standard for all of our products. Suitable For vegan & vegetarian diets but also for those who are looking to live a healthier lifestyle. Our products are made by us from our production facility in Lancashire, UK. 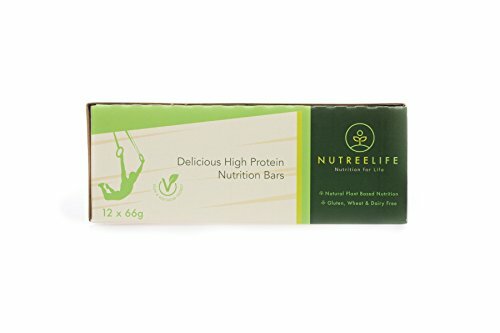 Nutree Life is a family owned business with the heart and passion for producing healthy, tasty and innovative nutritional products.